The American Edge, Inc. (CA License #877998) is a “Schulz” Construction Company, owned and operated by Dave and Leslie Schulz. Located in Northern California in the Redding Area, The American Edge specializes in “Concrete Artistry” and building “Custom” homes. 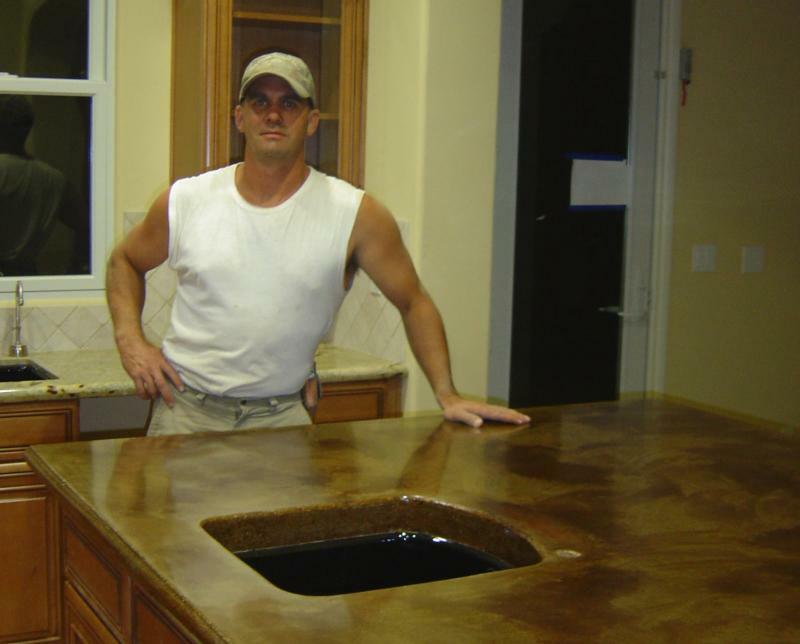 Dave has developed his decorative skills in stamped impressions, concrete countertops, integral concrete sinks, vertical stamped concrete, shower surrounds, stained concrete flooring, polished concrete, hand carved concrete stone, overlayments, concrete fireplace surrounds/mantels, and faux rock hardscapes. His gift of taking a customers vision and making it “Concrete” reality is undeniable. The American Edge continues to place concrete foundations for both residential and commercial applications. The American Edge, Inc. provides services to Redding and Northern California areas. From unique interior and exterior decorative concrete to custom homebuilding, The American Edge is your source for EVERYTHING CONCRETE! Concrete Artistry by owner, Dave Schulz , provides customers with the unique opportunity to add an artistic touch to their home. Dave Schulz is known for his special ability to make your dreams concrete! Concrete is virtually limitless in its capability to be molded and colored to meet your custom specifications and designs! Make sure to check out our photo galleries to see concrete countertops, floors, exterior concrete, rocks and custom homes! Copyright 2009 The American Edge, Inc.. All rights reserved.